When considering where and how you or your loved one will be remembered, Ferncliff is here to help you make those difficult decisions. Choosing Ferncliff ensures a lasting legacy for future generations. From traditional ground spaces. 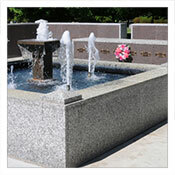 mausoleum or niche spaces, to cremorials, we will help you make the choices that are right for you. 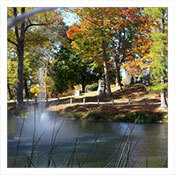 Below you will find many of the property options we offer here at Ferncliff Cemetery. 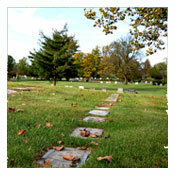 Cremated remains may also be buried in any of our ground burial spaces. Perhaps the most traditional of options, the Monumental Lot offers a larger interment space, often accommodating several family members. The basic lot is 10.5’x14’ in size and will accommodate three casket burials. The length of the lot allows for an upright monument at the head of the interred, as well as a flat marker at the foot if so desired. Larger lots to allow for multiple family members can also be selected. Choices range from tree-shaded slopes to water sided lawns. 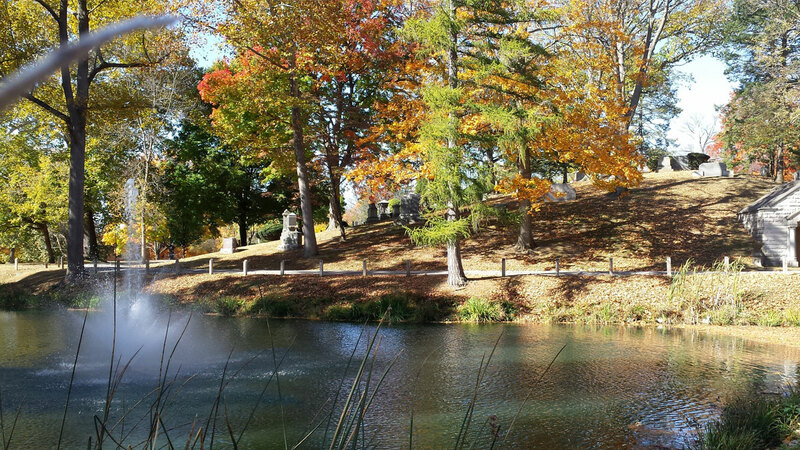 All offer you the peace and serenity Ferncliff is known for. 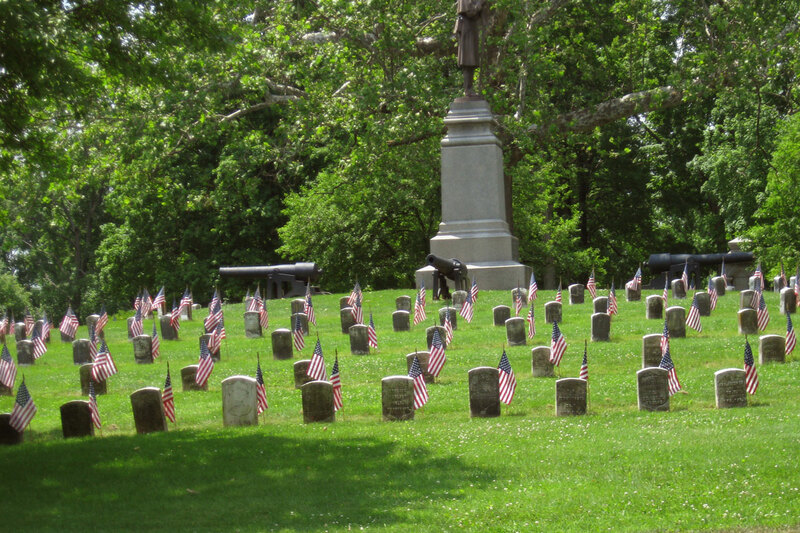 Typically for one or two persons, flat marker spaces are slightly less in length, as well as price, allowing for a flat marker at the foot of the grave. Single or companion markers are also sometimes referred to as flush or grass markers. 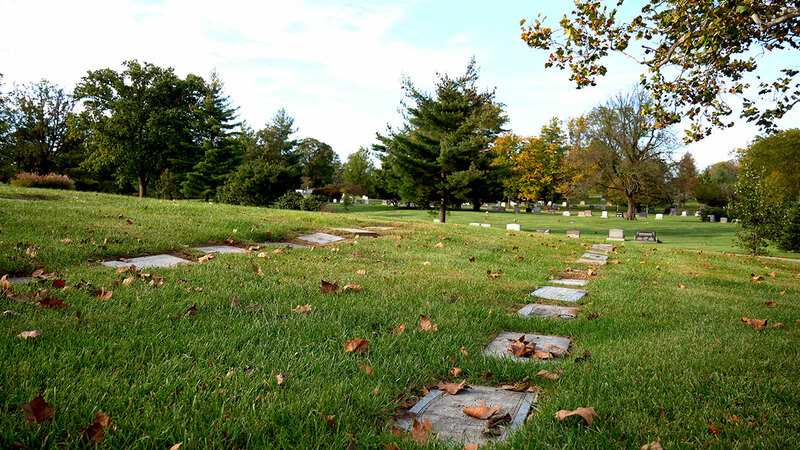 Ferncliff offers flat marker spaces in many areas of the cemetery, including older sections, as well as the newer areas south of Kelly’s Lake. time of death. 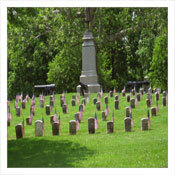 The memorial marker can be a personal or a complimentary government marker in either bronze or granite. The government marker is applied for through the CCVA, but the foundation is purchased through the cemetery. 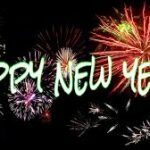 We recognize that this is an especially difficult time for families. 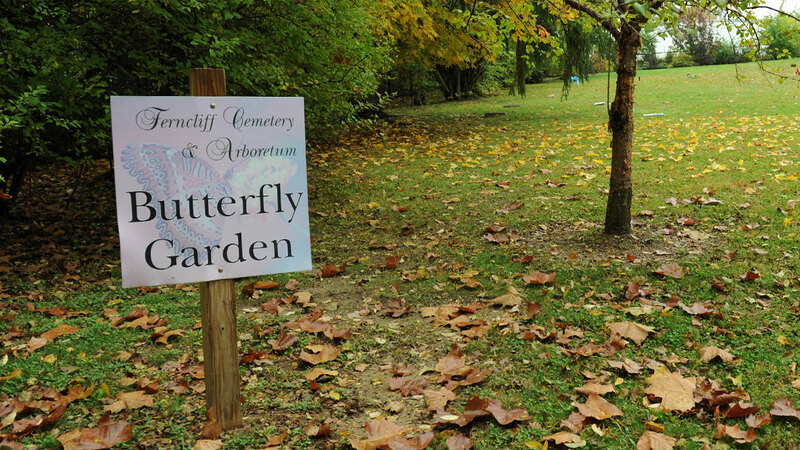 We offer services and interment spaces specifically designed for infants and small children. 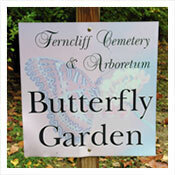 Each deserves dignity in death and Ferncliff offers very affordable options for your little ones. 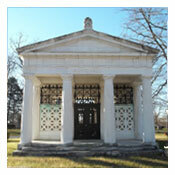 When we think of a mausoleum, there are two pictures that generally come to mind. 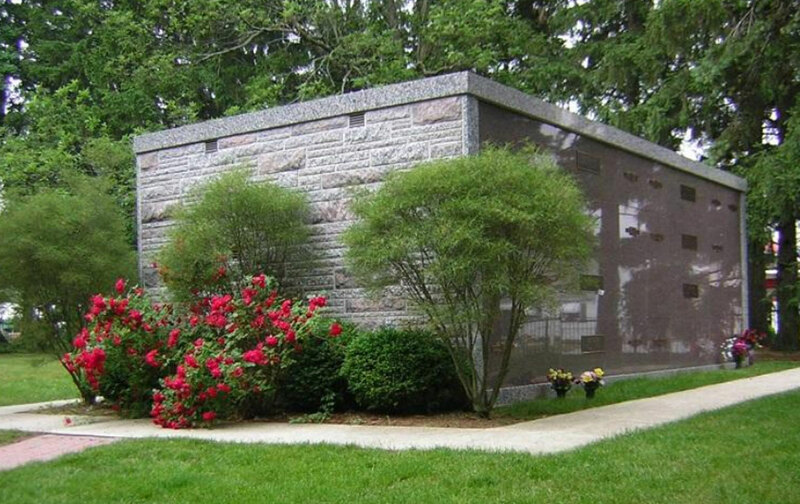 The large old family mausoleum like those on our grounds of many of our early families: Bushnell, McGilivray, Blee or Bookwalter; or our large columbarium for the interment of individuals. 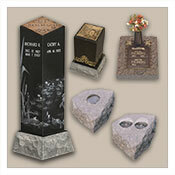 We also offer smaller family or couple above-ground mausoleums for those who desire traditional casket burial. 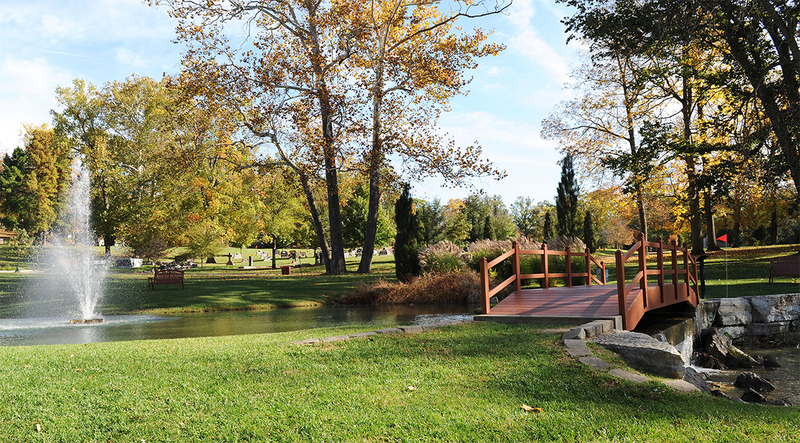 As cremation has become more and more popular, our cemetery has continued to offer options for the memorialization of those who have made this choice. One of those options is interment in one of our niches. 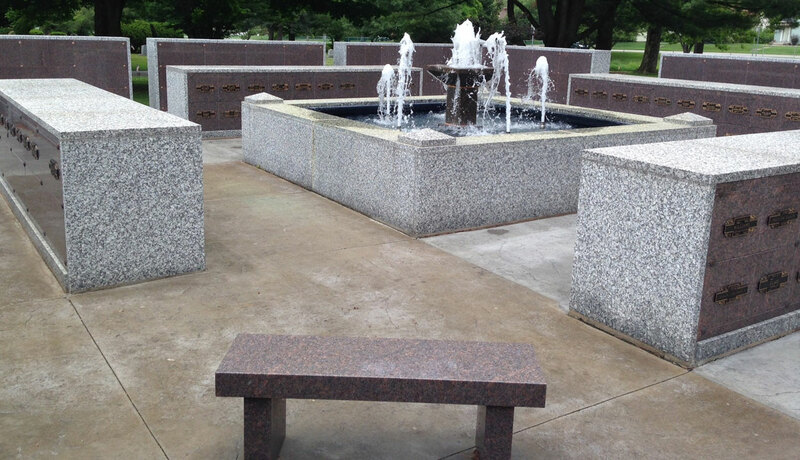 Our Niche Garden, just north of the main entrance has a beautiful fountain surrounded by niches and benches for quiet contemplation. Just opened, our House of Reflections offers a grand home for loved ones in a variety of glass-fronted or granite niches. Ranging from pillars to boulders, flush ground to benches, the choices for disposition of you or your loved one’s remains, or cremains, is quite varied. 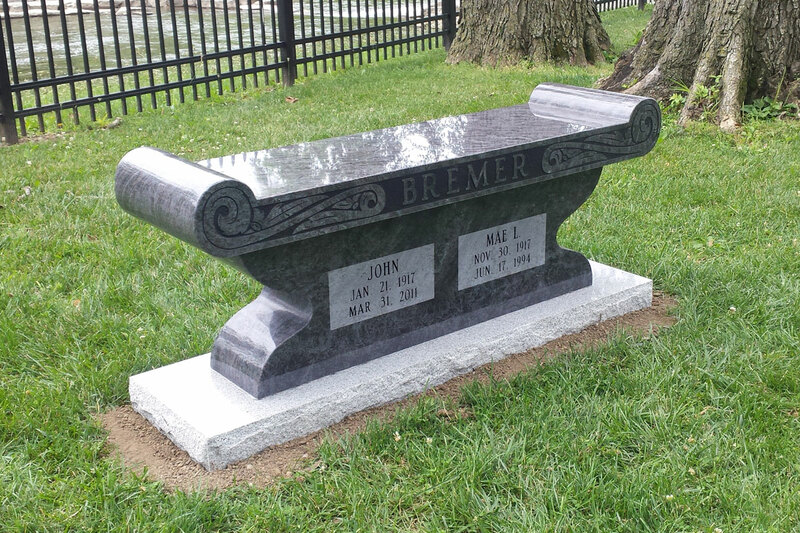 Combining the memorial marker with the space for the cremains allows for unique personalization and a wide variety of choices.